Advanced Hydroponics - PH Up is a concentrated agent to increase, the acidity of the nutrient solution according to your needs. 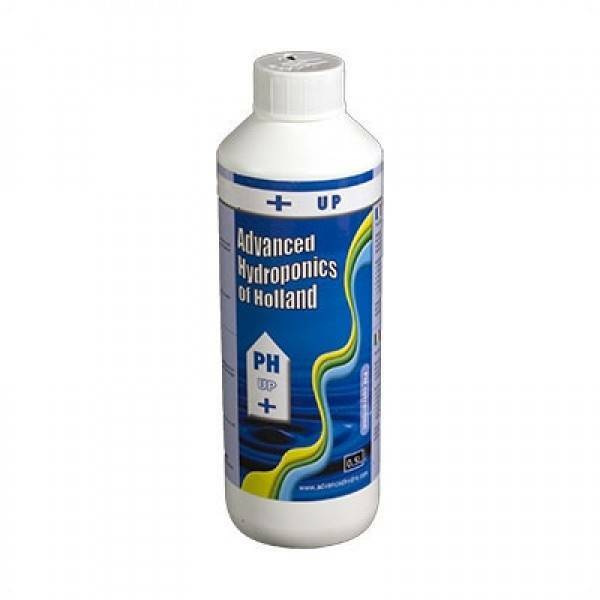 Advanced Hydroponics - PH Up is a pH adjuster. Ph+ up and ph- Down are concentrated agents to reduce or to increase, the acidity of the nutrient solution according to your needs. pH in indoor growing is terribly important: in fact, only with the right degree of Ph the plants are able to absorb the maximum amount of nutrients contained in the fertilized water solution. Use pH Up to increase the level of pH.